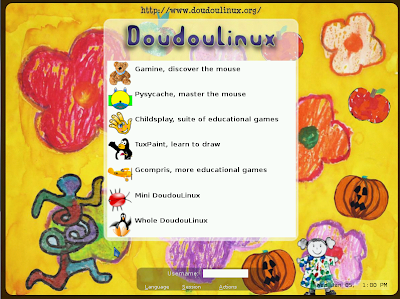 DoudouLinux provides tens of applications that suit children as soon as 2 years old and tries to give them an environment as easy to use as a gaming console. Kids can then learn and have fun but... without Dad and Mum watching! “Doudou” is a French word that means wubby, the teddy bear or the cloth that children carry everywhere and hug very strongly in their arms before falling asleep. DouDouLinux is, maybe, the greatest aid for parents who don't have enough time to spend with their children while they have fun on the computer but who also don't want to come back and find out that their operating system kind of crashed or that some important document was accidentally erased. That's because you don't have to install DouDouLinux to be able to use it, all you have to do is boot it from an USB stick (and when booting you can choose if you want the changes to be saved or not) or a CD/DVD and the kids don't have to log in to be able to play! Further more, you don't have to worry that while your child plays Internet games he will get to see unsuitable pictures or games for his age thanks to a smart built-in web page access filter (starting with version 2010-11). But let's just start with the beginning. When you boot DouDouLinux, it looks just like you can see in the above picture. 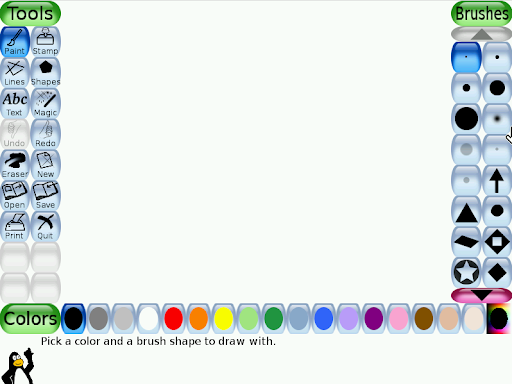 A friendly drawing background and only seven sections you can choose from. Four of them come with educational games as well as a few others that will familiarize your child with the way the mouse or the keyboard works. TuxPaint is there too in case your children want to exercise their painter abilities. I have found that all the games on DouDouLinux are educative and violence free. But be careful, some of the games are very addictive! I might not admit, but after writing the review I will play Pingus all day. In the educational games section kids will get to play and learn games with numbers, letters, how to use the keyboard and the mouse, a geography game (another one of my favorites). It's just nice they have plenty of options. But DouDouLinux has more than just games: in the "Whole DoudouLinux" section which is designed for parents you'll find categories such as Learn, Work, Enjoy, Multimedia and Tune (system settings) that have the usual applications that you might need: a video player, IM client (Empathy), a web browser (Epiphany), an French-English dictionary, text editor and so on. 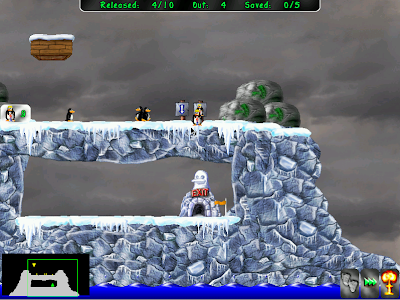 Some more advanced games are also available in the Enjoy section - here you can find adventure, arcade, board, cards, logic and sports games; among the games are SuperTux Cart, Pingus and more. In the multimedia section the little ones will clearly love the Piano Keyboard - this as well as the games under "Enjoy" are also available in the "Mini DouDouLinux" section so your kids can play them without having access to the other tools (and no login is required). DouDouLinux has a release cycle of 3 months and in the future it might get improvements such as an option to install DouDouLinux inside a Windows system without repartitioning, online CD customizations, a tool to limit the time spent on the computer and much more. See this page for more on the DouDouLinux future and see if you can help! Because DouDouLinux doesn't require an installation, there are both ISO and IMG files available to download in several languages such as English, Arabic, English, French, Romanian, Russian, Spanish and more. Download DouDouLinux (note: in my test, the Ubuntu Startup Disk creator failed to create a bootable USB so I recommend UnetbootIn for creating a bootable USB - it's available in the Ubuntu repositories and you can also find Windows executable at its homepage). Thanks to WebUpd8 reader inameiname for the tip!